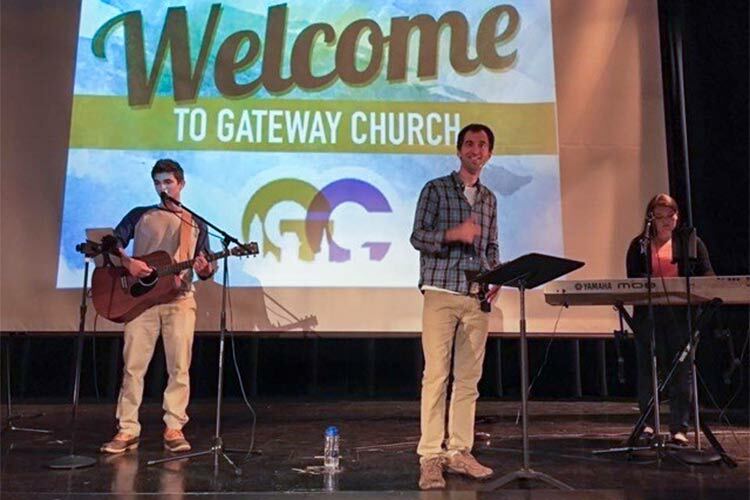 At 10:30 a.m. on September 2nd, Gateway Church Old Brooklyn will hold the first service in its brand-new home at 4542 Pearl Rd. in a shared space with Unity Lutheran Church (located on the southeast corner of Behrwald Ave). As he applies the final coats of paint in preparation of the parish’s opening day, pastor Tony Loseto is pausing to reflect on the past five years spent church planting with his wife Beth in the west side neighborhood. Loseto led the church’s first official service on January 18, 2015, with a group of 20 people inside the Rhodes High School auditorium; today the congregation has tripled to include about 60 members. Independent of any denominational control, the church is affiliated with the State Convention of Baptists in Ohio, Southern Baptist Convention, and Cleveland Hope. A converted Catholic who grew up attending St. Leo the Great, Loseto was raised in Parma by Old Brooklyn-bred parents. “My father immigrated from Italy to Ralph Ave., my mother—a Rhodes alumna—grew up on West 52nd Street. 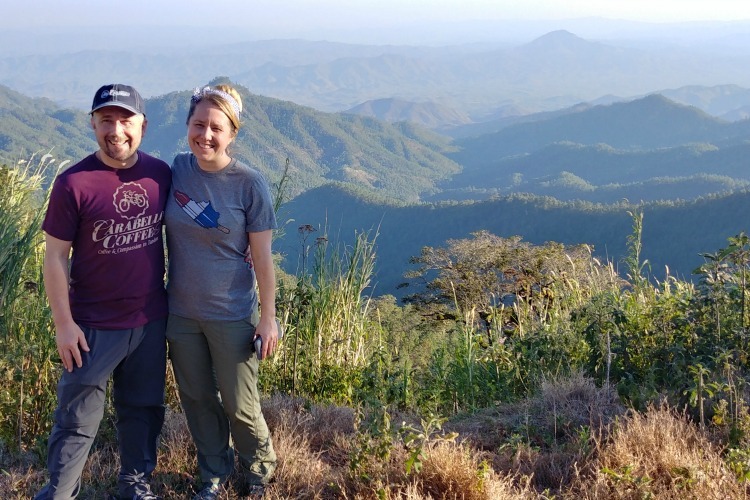 I began planning to do work in the Old Brooklyn area before graduation because I was familiar with the area,” the pastor recounts of his 2013 return from Louisville, KY-based Boyce College with his bride, an Alabama native whom he met and married while studying ministry. 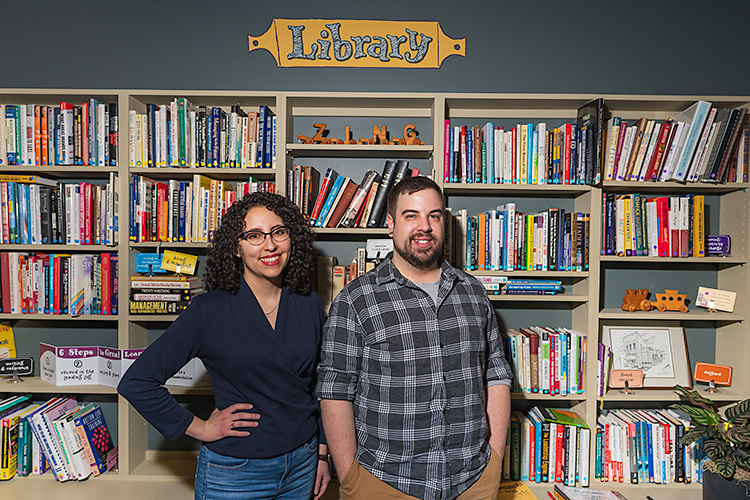 Alongside their work at Gateway, the Losetos have spent the last five summers repainting local homes and making light repairs in partnership with Old Brooklyn Community Development Corporation. It’s a true community effort—the CDC helps secure funding and identify residents in need; the volunteers are referred by a Christian organization called World Changers; and assistance is provided by local nonprofits Community Housing Solutions and the Clean & Green trailer. 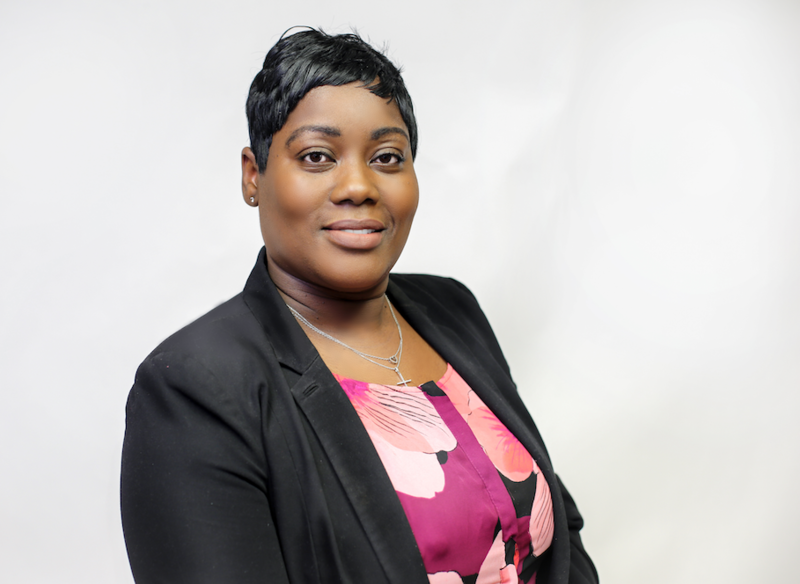 “[Old Brooklyn CDC] helps secure the funds through grants to help low-income, disabled, and senior homeowners, and then we provide all the labor free of charge,” explains Loseto. 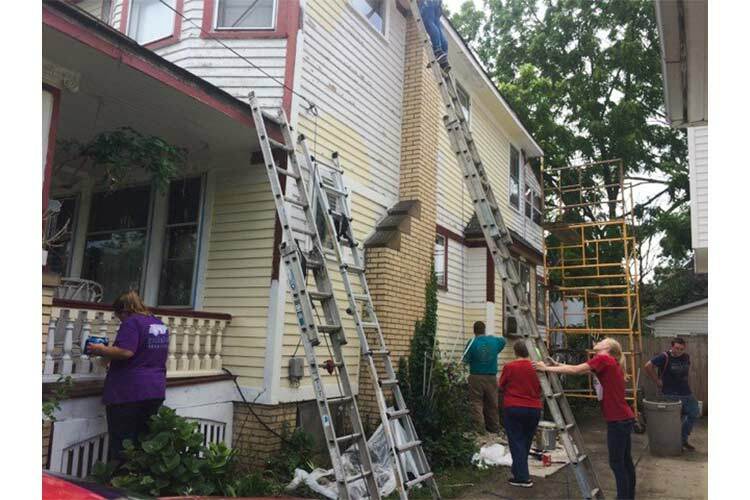 All of the work is increasingly interconnected—two households became members of the Gateway Church Old Brooklyn family after receiving help with home repairs. Loseto provided an extra layer of support by connecting them to other members of the congregation who could help with transportation to and from services. “A lot of people in our neighborhood don’t have a vehicle, and we’re hopeful that, as the church grows, we’ll be able to offer regular shuttle transportation to anyone who needs it,” he says. Block party at EstabrookEager to plant roots in the church’s new space that will include a gym, fellowship hall, and office, Loseto and his wife are already planning new programs—such as Gateway Game Night, a monthly all-ages activity gathering with food, fellowship, basketball, and board games. The church's grand opening celebration will coincide with the fifth annual harvest festival in October. "We enjoy being out in the community, but the new location will allow us to do some more regular ministries in the church building,” he says. 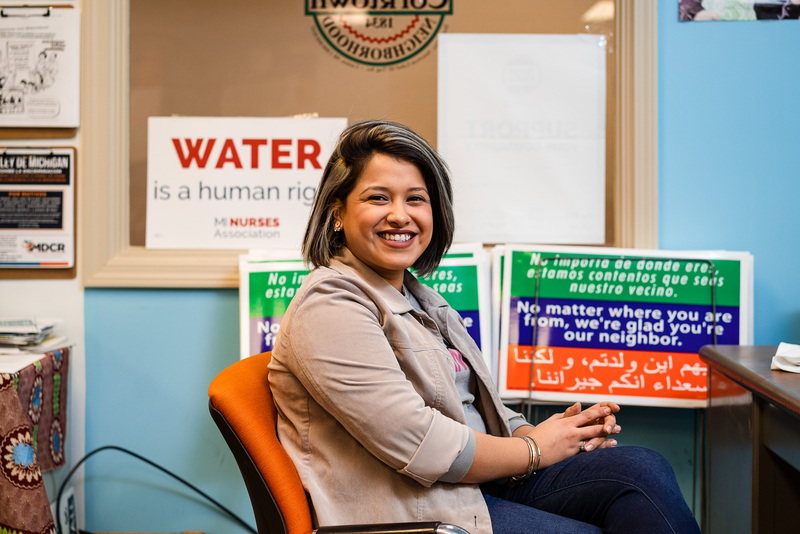 "[However,] we still want to do some of our programs and outreach at Estabrook Recreation Center." 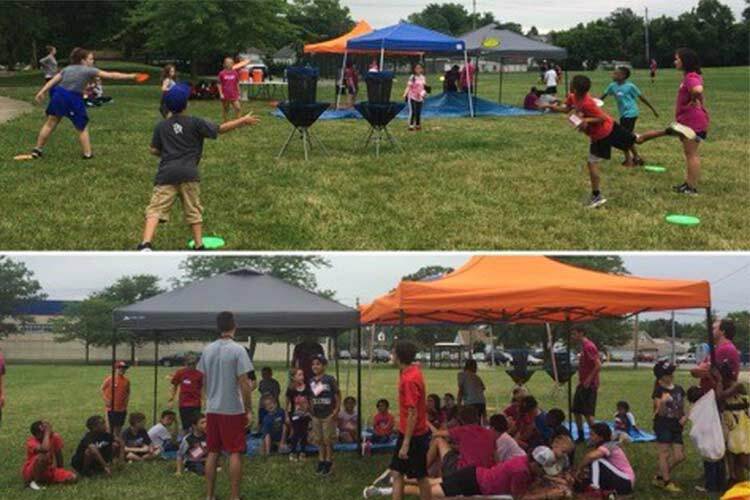 Sports campsOfferings are rounded out by community sports camps for kids and quarterly neighborhood “block party” events with free food, crafts, and bounce house entertainment—all meant to foster a spirit of fraternity, regardless of faith. 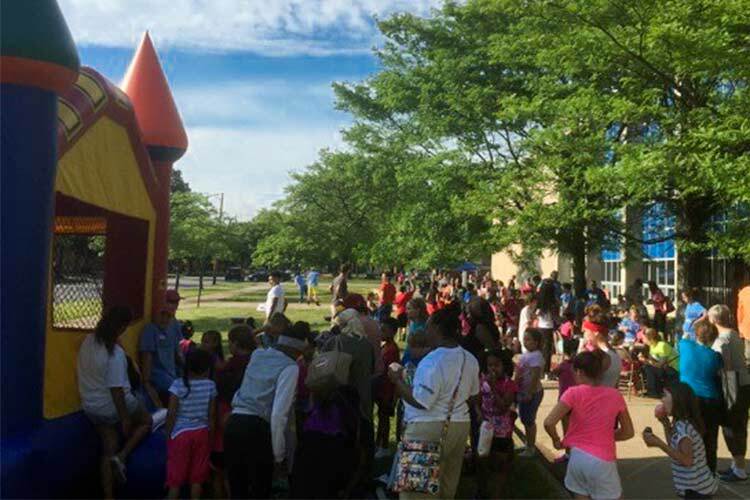 Most recently, 150 backpacks filled with school supplies were distributed to attendees, and a barbershop staff was able to coiff more than 30 students in time for school. A podcast of each sermon is available on the Gateway Church Old Brooklyn website.